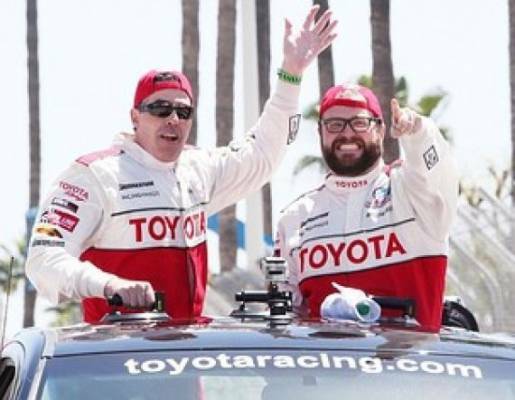 History Channel series “Top Gear USA” and Fox Sports/SPEED racing commentator Rutledge Wood won the 2013 Toyota Pro/Celebrity Race, triumphing over a field of film, television, music and sports stars in the annual charity racing event. The roaring crowd witnessed the stunning performance by Wood who started the race from the pole position in his Scion FR-S race car. Last year’s race winner and comedian Adam Carolla finished first in the Pro category. 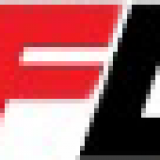 Wood, who took the top starting spot for the race in Saturday’s qualifying, gave up the lead early on to Hallmark channel host of “Home & Family” Mark Steines before the four-time participant finished fifth in the 10-lap event. MTV’s “Awkward” star Brett Davern made a late run for the trophy as he closed in on the lead but ran out of track time before the checkered flag waved. Medal of Honor recipient Dakota Meyer got loose and spun out, but regained control of his Scion FR-S race car to finish fourth. Mexican actress Kate del Castillo was the top female finisher with a 10th-place showing. Toyota will donate $5,000 to Racing for Kids in the name of each participant, for a total of $90,000, and an additional $5,000 to Victory Junction on behalf of Wood. Racing for Kids is a national nonprofit program benefiting children’s hospitals in Long Beach and Orange County, Calif. Toyota has donated more than $2 million on behalf of the race and its participants to various children’s hospitals since 1991. Additionally, a $15,000 donation was made in conjunction with the annual People Pole Award. Sponsored by People magazine, the award was given to Wood’s charity of choice, Victory Junction. Visit our Facebook page (Danny McKeever's FAST LANE), follow us on Twitter @FASTLANE_racing or join the conversation with the participants at #TPCR.